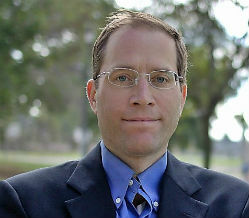 Mayor Kevin Faulconer’s Waterloo is scheduled for noon on Monday in the City Council chambers. That’s when Faulconer will propose his short-term vacation rental ordinance to the City Council. If his proposal passes, July 16 will live in infamy in the history of housing affordability in San Diego. It will be remembered as the day Faulconer turned his back on solving the housing crisis—and created an eviction explosion. 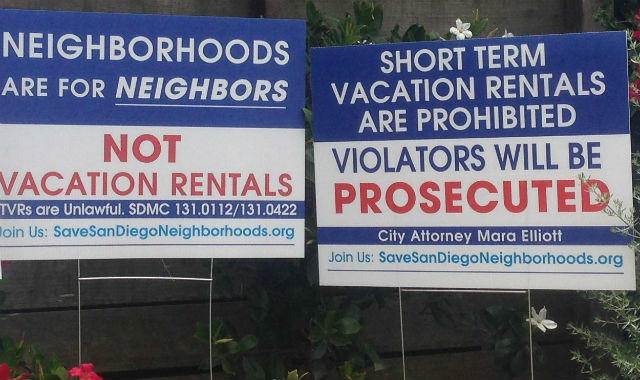 Under current laws, renting residential homes for less than 30 days at a time is illegal in San Diego. But the City’s inaction on enforcing the zoning code means San Diego is losing two housing units to vacation rental conversion for every three new units that come online. Faulconer’s proposal would hyper-accelerate that loss of housing stock. The ordinance uses misleading language in an effort to confuse the public about the true limits on the number of vacation rentals that would be legalized. Under his ordinance, permits will be given to “hosts,” and a host is defined simply as a “natural person.” It could be anyone, anywhere in the world. But the danger to our housing isn’t just from investors and corporations. The local mom and pop landlords and apartment owners who have historically provided much of our affordable housing stock won’t want to be left out of the action either, once they understand the potential to triple their earnings. The predictable result will be a rush to convert single-family homes and investment properties into short-term rentals—along with an explosion of evictions and rent increases. Already, nearly a third of investment property owners plan to rent their units short-term this year, an 8 percent increase over 2017, according to Realtor Magazine. And Airbnb loves the mayor’s plan, of course. So do local vacation rental companies, who are already scouting for realtors to help convert houses into hotels. The danger isn’t just to our beach communities, either. Vacation rentals are spreading to neighborhoods all over the city—to tourists, all of San Diego is beachfront property. That’s probably why San Diego is already the most profitable city in the United States for vacation rental operators, tied with Miami. There’s plenty of room for this housing-devouring industry to grow in San Diego far beyond the beaches, and Faulconer’s proposal throws the door wide open. The negative impact the Faulconer Eviction Machine will have on affordable housing, our economy, and our schools, cannot be overstated. 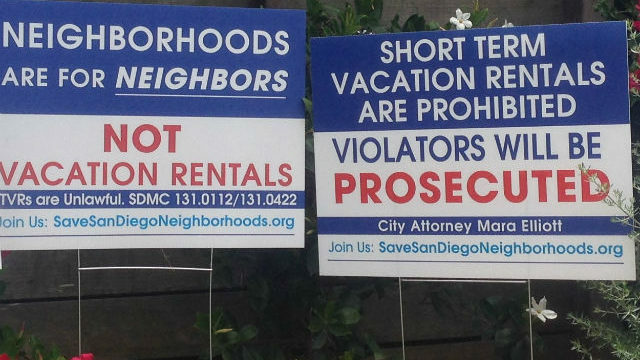 This so-called “compromise” ordinance is anything but, and the mayor’s Orwellian twisting of the very terminology we use to talk about housing—calling vacation rentals for transients “residential occupancy”—is political chicanery at its worst. That’s why it is so vital we have an “all hands on deck” response to this major threat to our housing stock. We simply can’t afford to lose this fight.